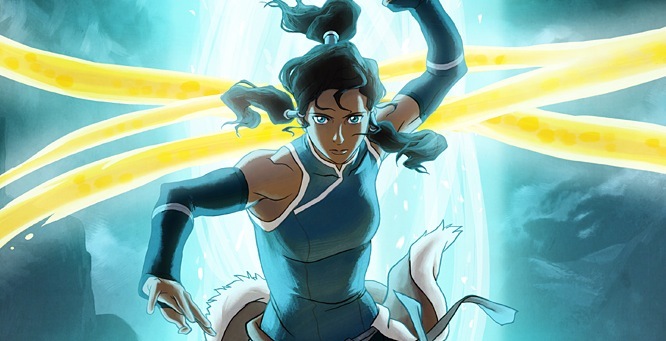 I have to admit that the first time I watched Nickelodeon’s Legend of Korra I was an ugly combination of excited and skeptical. The Last Airbender is up there on the list of my all-time favorite childhood shows. When I was in middle school, I used to live for Friday nights after dance lessons when they aired the new episodes. And once I got to college, and discovered the wonders of Netflix, my friends and I watched through the entire series at least three times. So Aang, Sokka, Katara and Toph all have a special place in my heart. However, while drastically different, I do love the new show. And this premier did not disappoint.